As a Senior Private Banker with TD Wealth Private Banking, Jeffrey will provide comprehensive wealth management and financial strategies to affluent assets business owners, entrepreneurs, professionals and their families in Greater Toronto area. To meet each client's specific needs, Jeffrey works closely with his clients to ensure responsive services, and provide sophisticated banking, short and long term lending solutions and financial solutions for clients with often complex banking and credit needs. Meanwhile, Jeffrey intently connects to other TD Specialists from across TD to provide his clients with a complete range of wealth services and solutions – including estate planning, tax business succession planning, investment planning and trust. Prior joining to TD Wealth Private Banking, Jeffrey has more than 20 years of experience in financial industry and held a position as the Branch manager of a TD Canada Trust location, which helped him with an ideal foundation for meeting his clients' unique and varied financial goals. Jeffrey holds a Bachelor degree in Business Administration and earned a Personal Financial Planner (PFP) designation. 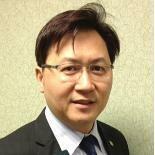 He is an active participant in the communities of Toronto, Markham, Richmond Hill and Vaughan.